Ash Soan and Neal Wilkinson are joining forces for a special clinic tour later this year. 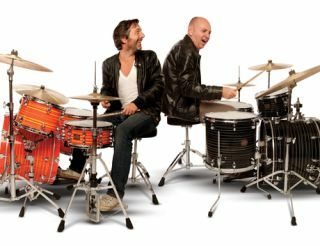 The two sticksmen, who can count Adele, Robbie Williams and Van Morrison among their gigs, will head out on Yamaha's Pocket Club jaunt. On the theme of the tour Ash explains: "With this tour we are aiming to bring it back to what the instrument is actually about; what it's musical 'job' is. We're not going to be playing riffs at a million miles an hour and bombarding audiences with content so complicated it's almost impossible to replicate." For more details visit www.yamahadownload.yamaha-europe.com.